Taking care of your teeth is a bother. There are many things that must be considered for the teeth to stay healthy and sturdy until old. But many of the assumptions that have been believed about the teeth and treatment is in fact is misguided. Of course you do not want that wrong assumption that continues to perch on your mind? Here is the seven assumptions about teeth that are often believed by many people. 1. Sugar is the main enemy of dental care. Many consider that the main enemy in the care of teeth is the sugar that can cause cavities. In fact, not only sugar, but various foods that contain carbohydrates. The remnants of carbohydrates are food for bacteria. 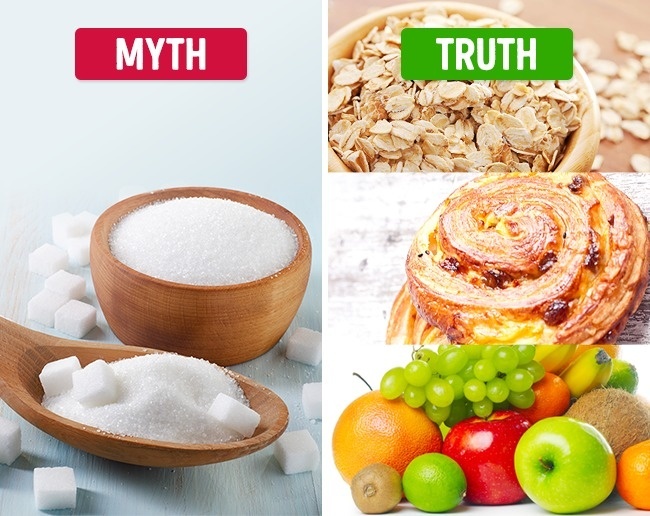 In addition to sugar, carbohydrates also exist in various foods such as cereals to fruits. 2. Pregnant women should not visit the dentist. Many myths to avoid pregnant women. Though not all myths that can be proven medically. 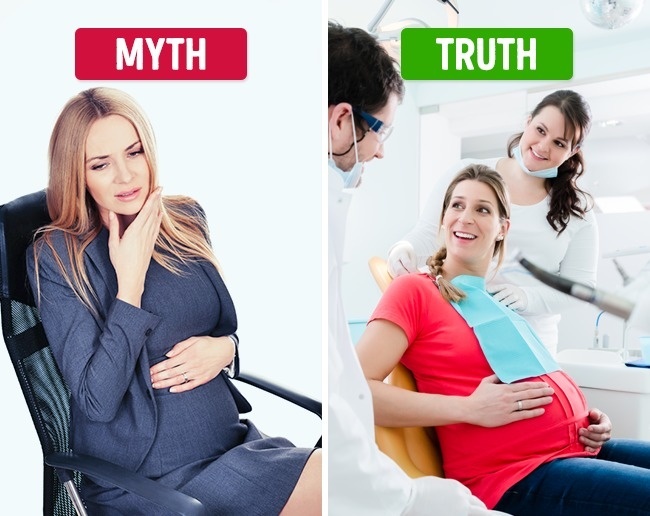 One of the myths is that pregnant women should not go to the dentist to take action on her teeth. The various physiological, anatomical, and hormonal changes during pregnancy can affect oral health. This is what requires every mother still have to maintain healthy teeth and mouth during pregnancy. Medical care for oral and dental health in pregnant women is not only safe but it should be done because serious problems in the teeth and mouth can even adversely affect the development of the fetus. What should not be a treatment that requires local anesthesia. 3. To clean the teeth properly need to brush teeth hard. 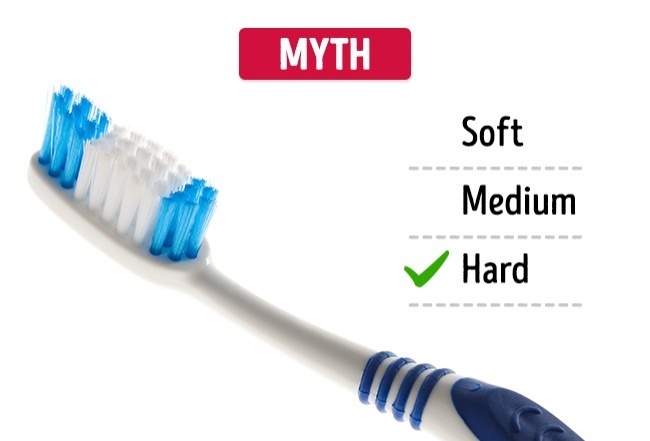 In fact, you just use a soft toothbrush or a soft alias to clean teeth. Some doctors even recommend it not to damage part of the gums and enamel. To remember, replace the toothbrush every three months. 4. You need a toothpick after a meal. Not forever a toothpick is good to use after a meal. 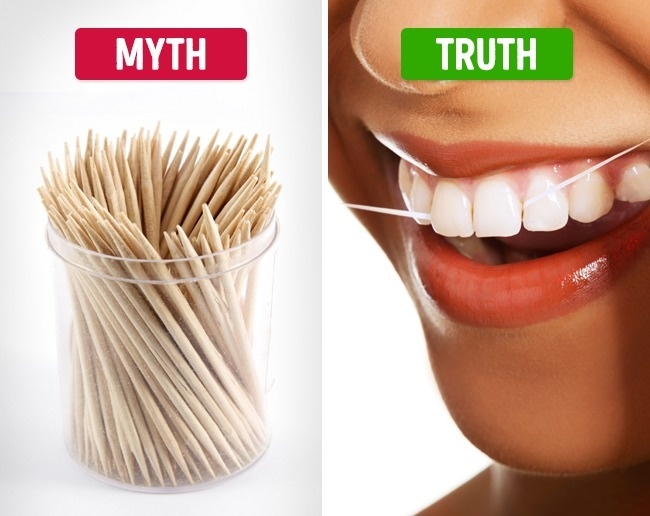 It's even better to avoid toothpicks because it can damage the surface of the gums. Wear dental floss or dental floss to clean the parts that pertain to the teeth. 5. 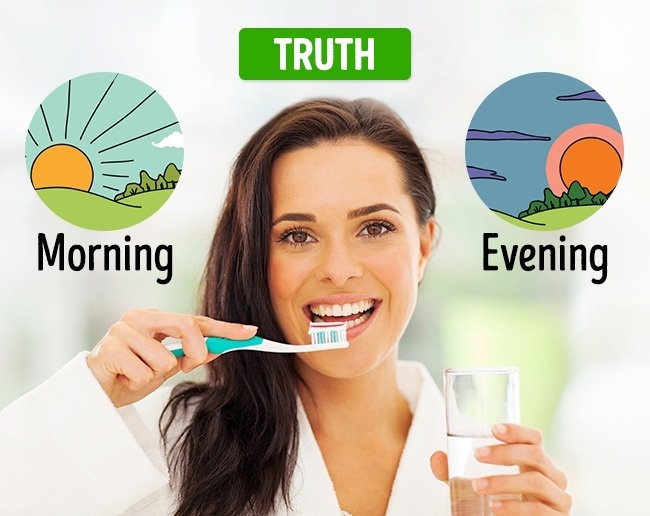 The more often brush your teeth, the better. This is wrong. Because too often brush your teeth to make enamel on the teeth shrinking. Even too often brush your teeth can bring dental disease because of the roughness of the toothbrush. Rub the teeth to taste. It is better the role of toothbrush and toothpaste is replaced with mouthwash aka mouthwash. Toothache is not necessarily the impact of tooth decay to cavities. It could be a toothache that is the effect of pain on other parts. 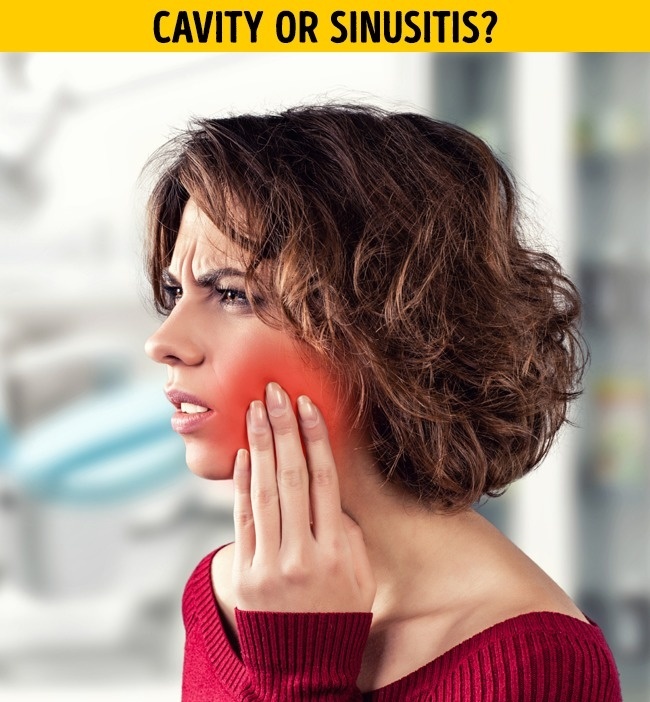 For example, it could be a toothache that affects the effects of sinusitis symptoms. 7. You should brush your teeth after breakfast. Many consider brushing your teeth better after breakfast. Though the assumption was wrong. Doctors recommend to brush your teeth before breakfast. While sleeping, salivation occurs which makes the amount of bacteria collected in the mouth. 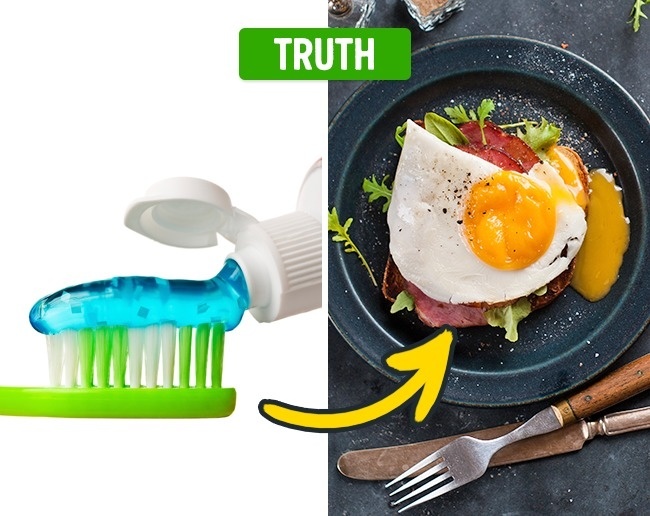 If not brush your teeth before breakfast, even feared natural bacteria come into the mouth.